Written by a team of international scholars, Sport and Nationalism in Asia - Power, Politics, and Identity is a collection of original research which addresses a number of issues central to notions of nationalism and identity in sport including: how the Olympics and other international and regional sports events have fostered an active interweaving of sport, politics and nationalism; the role of traditional sport in the building of national consciousness and national identity; the way modern sport creates and reflects nationalism, thereby giving it a voice and a focus. The book covers eight case studies on countries/regions across West Asia, Central Asia and East Asia. 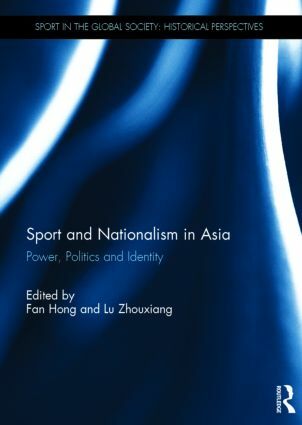 It is one of the few works that examines the relationships between sport, politics and nationalism from an Asian perspective. Fan Hong is Winthrop Professor at the Faculty of Arts, the University of Western Australia. Her main research interests are in the areas of Chinese culture, politics, gender, and sport. Lu Zhouxiang is a Lecturer in the School of Modern Languages, Literatures and Cultures at National University of Ireland, Maynooth. His main research interests are modern Chinese history, nationalism and globalism. As Robert Hands in The Times recently observed, the growth of sports studies in recent years has been considerable. This unique series with over one hundred volumes in the last decade has played its part. Politically, culturally, emotionally and aesthetically, sport is a major force in the modern world. Its impact will grow as the world embraces ever more tightly the contemporary secular trinity: the English language, technology and sport. Sport in the Global Society will continue to record sport's phenomenal progress across the world stage.